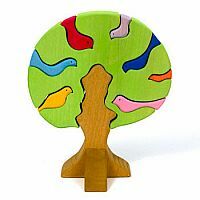 This beautiful wooden bird tree puzzle is made up of seven unique brightly colored birds, each nesting in their special place in the branches of the tree. This colorful tree is part plaything and part puzzle and is sure to delight children. 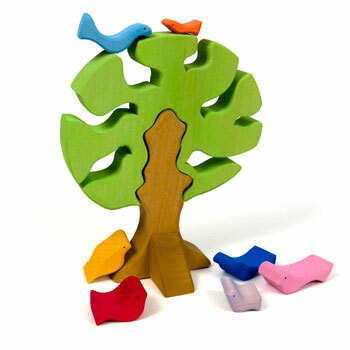 The bird tree puzzle includes 7 birds and 2 tree pieces. Handcrafted from solid wood and dyed with water based colors.